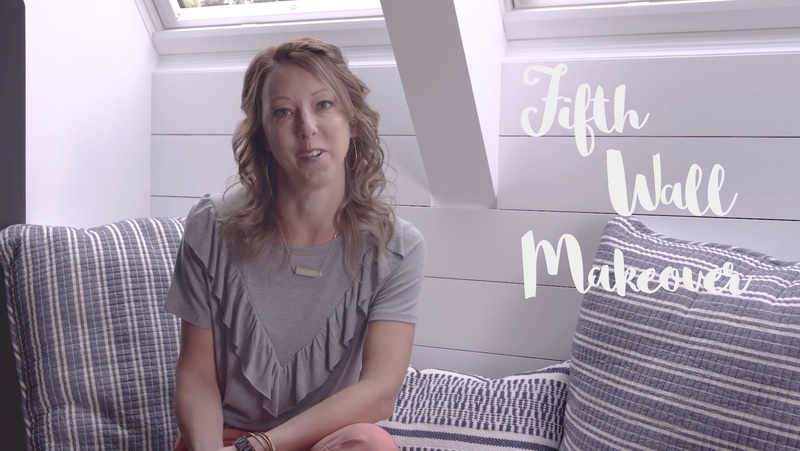 Sara Davis, the designer behind the Sincerely Sara D blog, always hid the bonus room away from her readers because the space was dark. Spanning the width of a three-car garage, the bonus room was designated the “man cave,” and her husband, Steven, used it to hang out with friends for TV or a round of billiards. 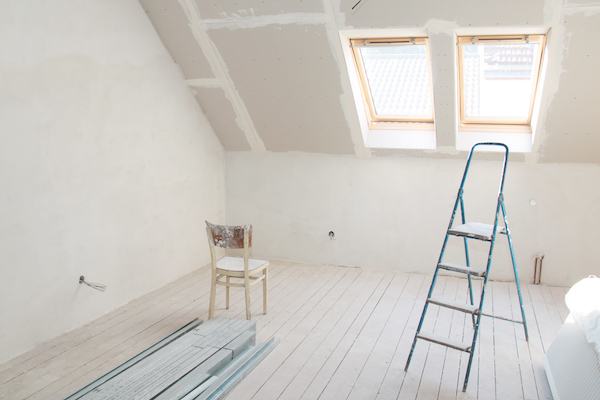 Partnering with VELUX Skylights gave Sara and Steven a chance to rethink the space and they quickly got to work removing the popcorn ceiling and painting the space a new shade of grey. Working with VELUX 5-Start Skylight Specialist, Circle City Skylights, the couple decided to add four VELUX No Leak Solar Powered “Fresh Air” Skylights to the north-facing wall. And because it’s a bonus room, the construction of the wall was deeper, which afforded a unique design opportunity: a bench seat under one pair of skylights and a set of built in shelves under the other pair. Soft, natural light fills the space and the skylights prompted the couple to shift the furniture to give anyone sitting on the sofas a sky view. The game area now has seating of its own and plenty of light for competitors to consider all of the angles before shooting pool. 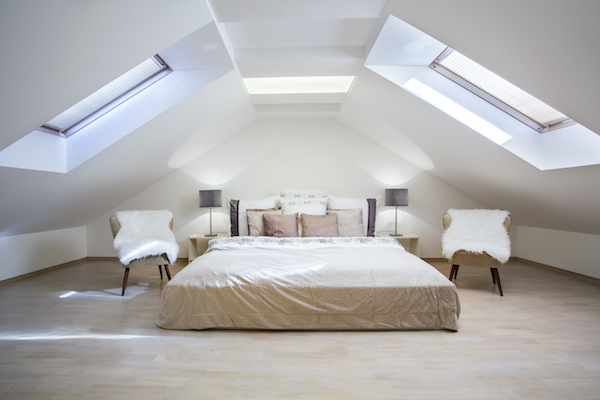 Transform your attic space into the bonus room you've always wanted with these simple steps.